Das berühmte Lebensrad / Bhavachakra-Mandala. 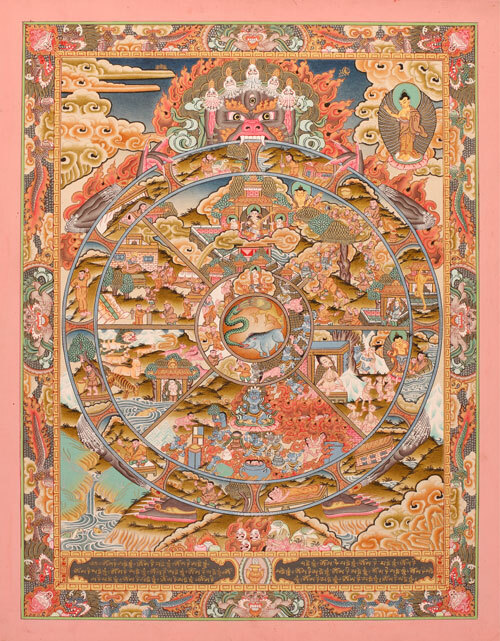 The famous Wheel of Life, a charming Thangka of the Bhavachakra mandala, very detailed painted in mainly pink color. Thangka with gold.